"The numbers also stack up well for the man from Japan when it comes to five-setters too. He's second on the list of active players in winning the five-set thrillers, just 1.3% behind Novak on 75%. However, when you include three-set matches, his record surpasses that of the Serb and in fact ALL players in history at 75.4%." With fitness and form doubts surrounding some of the major players in the men's draw, it's easy to see why Novak Djokovic is the [2.3] favourite to win an incredible seventh Aussie Open title. The revitalised Serb was in imperious form on the hard courts last season, winning a staggering 26 of his last 28 matches played on the surface in 2018. His skinny overall tournament price will be reflected in his individual match-ups through the early rounds with the world number one boasting a near faultless record in the first week of the tournament. In his career to date when seeded in the the top 10, the 31-year-old has only lost once to a player ranked outside the top 15, when beaten by Denis Istomin in the second round in 2017. Perhaps more impressively, Djokovic has only dropped the first set to a player outside of the top 15 four times, with the Istomin loss the only time he has failed to recover to make it through to the next round. In-play punters will be wise to take note when they receive an alert from PounceBet, with the Serb winning on all four occasions 'a Pounce' (an alert for value in the market) has been instructed at previous Aussie Opens. He's also one to keep onside during any five-set thriller, offering numerous trading opportunities. The 14-time Grand Slam champ boasts the best record of active players when it comes to winning the fifth set at the tennis majors with a staggering 76.3% win percentage (29 wins and just nine loses), proving he always offers a trading angle for in-play bettors eyeing up the value. Away from the hot favourite, it's Japan's Kei Nishikori who PounceBet users should be keeping an eye on. A trusted ally from years gone by, the world number nine has the highest win percentage for any tennis player with at least 15 pounces to their name at 78% (57 from 73 pounces). Not only that, but the 29-year-old loves Melbourne, and like Djokovic, is a proven flat-track bully, boasting an unbeaten record against players outside of the top 20 at the event. 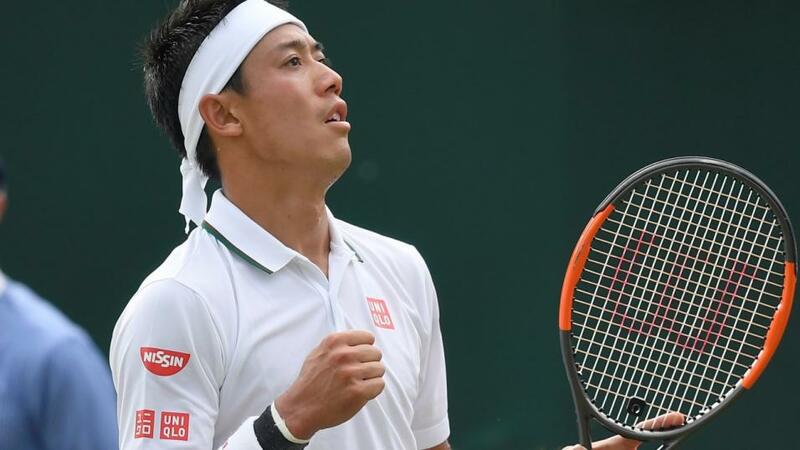 However, it's not always plain sailing for Nishikori, losing the first set six times during this run, before fighting back to win on each occasion, the perfect PounceBet player! The numbers also stack up well for the man from Japan when it comes to five-setters too. He's second on the list of active players in winning the five-set thrillers, just 1.3% behind Novak on 75%. However, when you include three-set matches, his record surpasses that of the Serb and in fact ALL players in history at 75.4%. Marin Cilic's record at the first major of the year is patchy at best. Although he progressed to the final in 2018 where he was eventually beaten by Roger Federer, he has only made it past the fourth round once from his other nine previous attempts. However, he has proven a safe bet in the early rounds when facing opponents outside the top 30. Losing just once, he's also proven resilient in the process, recovering six times from seven attempts when losing the first set to those ranked outside the top 15. He's three from four when it comes to previous Pounces during the tournament and the five-set format is his forte, with the Croat landing 78% of all Pounces in that format compared to a lowly 58% over both three and five sets combined. South African Kevin Anderson has shown strong form during the early stages of this season and the friendly giant is strong performer for PounceBet users at grand slams, winning 75% of all Pounces. He's proven a slow starter on occasions to those ranked outside the top 20, losing the opening set no fewer than six times and recovering to win five of those matches. Rafael Nadal remains a huge fitness worry and must come with caution attached, but he's shown in the past how dangerous it can be to underestimate him. Back to somewhere near his vintage best last season, the man from Mallorca is a PounceBet pro winning 50 of 67 pounces, a 74% success rate. He can often take time to warm to his task in the later rounds, but boasts the best record of all active players when it comes to recovering from losing the first set. This year's tournament is set to be one of the most competitive to date with the transition from old guard to new continuing apace. Take advantage of the uncertainty by getting PounceBet to do the hard work for you, finding you value bets across the fortnight, to help you lock in profit. PounceBet delivered a 233% ROI in 2018 and new users can sign up for an extended free 30 day trial of the AutoPounce service by entering promo code BETTING30 when registering at this link.